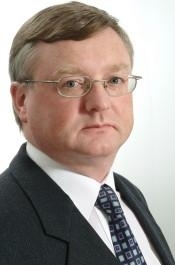 Paul McVeigh is managing editor of Automotive News Europe. After months of uncertainty, Porsche has been told by Volkswagen CEO Martin Winterkorn that it will take the lead in developing sports cars and big luxury sedans for VW group. That was a blow to Audi, whose executives and engineers had strongly lobbied for those roles. Winterkorn's announcement, which came just before Porsche's annual meeting on Nov. 30, will allay fears at Porsche that the Stuttgart-based carmaker would be sidelined as it becomes VW group's 10th brand. In the future, Porsche will develop VW's so-called "modular standard matrix" that will underpin the Porsche Panamera and future Bentleys. It will also be responsible for a sports car platform for front-mid- and rear-mid-engine cars for Porsche, Audi and Lamborghini. VW initially wanted Porsche to use a VW-developed sports car architecture for cars such as the 911, a move that was strongly resisted by Porsche engineers, who feared VW underpinnings would not have the stiff handling for which Porsche cars are renowned. "Porsche is clearly the leading sports car brand in the VW group. This is a brilliant solution -- Porsche gets the chance to develop VW's sports car architecture to its standards, but VW gets closer control of Porsche's engineering," says Christoph Stuermer, an IHS Global Insight automotive analyst. As part of its new role, Porsche will add a new wind tunnel, design center, electronics integration center and about 100 engineers at its development center in Weissach, near Stuttgart. Audi will continue to have responsibility for developing VW group's so-called "modular longitudinal matrix," which was introduced in 2007 and underpins cars such as the Audi A4, A5 and Q5. Winterkorn says the number of cars using the architecture will increase to 15 in the mid term. VW brand is developing the “modular transverse matrix,” which debuts on the Audi A3 in 2012 and will eventually underpin about 40 models and 6 million units annually, including the next VW Golf. VW says building cars on shared underbodies, which it calls its "modular toolkit strategy," gives it a key competitive advantage in its bid to topple Toyota as the world's No. 1 automaker in sales and profitability. The strategy reduces development, procurement and production costs by 20 percent and engineered hours by 30 percent, the company says. It also allows increased production flexibility so the automaker can create more model variants without adding high costs.